The theme this week is motherhood, and, of course, Michigan. 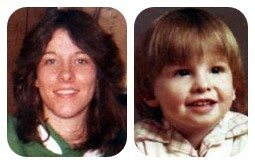 We explore four lesser known cases from Michigan of missing persons, including a mother and her young son. Kim Larrow was last seen in Canton, Michigan June 1981. Her half sister and cousin are still hoping she will be found. 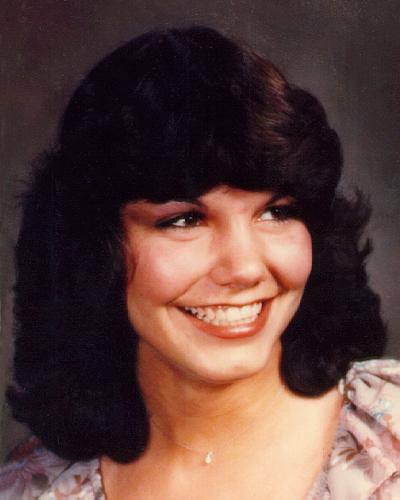 Kim Larrow was staying with her mother in Canton, Michigan the summer of 1981. She said she was meeting a friend for ice cream, or possibly headed to a party at Hines Park. Kim was never seen again. Dawn Silvernail was recovering from the birth of her second child, a son, when she vanished from her Hazel Park home in 1991. Her disappearance wasn’t reported for years. Her husband is a person of interest in her case. Dawn Silvernail was discharged from Providence Hospital after delivering her second child. She was never seen alive again. Her husband is a person of interest in her disappearance. Carolyn Martin reunited with her boyfriend, Hamparsoum Kirezian and he planned a move to Texas with Carolyn and their toddler son, Mark. Carolyn never arrived in Texas. She and her son haven’t been seen since. Carolyn and Mark Martin disappeared on the way to Texas. Kellie Brownlee had a difficult home life and often stayed with friends. 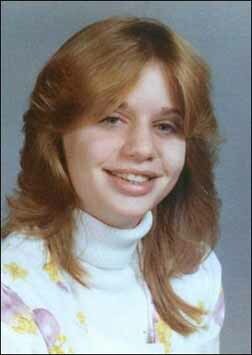 In May of 1982 she skipped school to apply for jobs at Twelve Oaks Mall, she would never be seen again. Was she killed by her stepfather or did a well known predator come through the area and end her life? Kellie was close with her mother but her step father made her home life difficult. I was looking at old Reddit post and saw the post on The Fort Worth Three. The one posted the month before Robins’. Do you think Mike DeBardeleben also had something to do with their disappearance? It was sited on another website concerning the case. He was known to wear Security uniforms in the malls and was in the area at that time. Really enjoyed this one. The four cases was an awesome addition. He certainly knew the area and could have been active at that time. Interesting, I hadn’t considered him for that case before! thank you! I appreciate the feedback and encouragement. My name is Timothy (Ty) Martin, the twin brother of Carolyn Sue Martin and Mark Strven Martin’s uncle. I want to thank you for sharing my sister and nephew’s missing persons case on your podcast. Both Carolyn and Mark are still missing. Hamparsoun Kirezian has changed his story three different times and his name four times, all were untrue. He has also claimed not to know Carolyn or his biological son Mark when he was last questioned and is still free to live his life while my family suffers everyday for the past 36 years. There is definitely something very bocken with our law enforcement system. I am so sorry about your sister and your nephew. I can’t imagine what your family has been through all these years. I’m so sorry about your sister and nephew. The mental pain you and your family have had to endure all these years. How heartbreaking! I pray you get closure to what happened to them.